Rochester, NY (April 16, 2019) – On Tuesday morning, April 16th, police and paramedics were promptly summoned to the scene of a motor vehicle accident that was reported to have happened at 5:47 a.m. Authorities confirmed that the crash took place on Driving Park Avenue and resulted in at least minor injuries. According to police, no more than two vehicles are currently believed to have been involved in a collision in the east and westbound lanes of Driving Park Avenue between Maplewood Avenue and Carthage Drive. Emergency medical professionals who were called to the crash site verified that at least one person suffered injuries in the collision. However, the extent of those injuries has not been reported. At this time, police have not stated exactly how many people were involved in the crash. An investigation into the events that led to this incident is ongoing as no further details have been released. At Hach & Rose, our compassionate New York accident attorneys have committed their lives to helping the victims of reckless drivers and other inattentive entities. 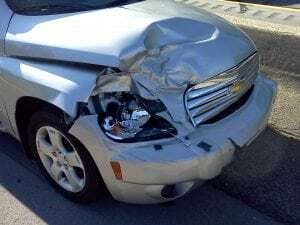 We realize that immense physical, emotional, and financial hindrances arise in the aftermath of a serious car accident. If you have suffered injuries in a crash because of the irresponsible actions of another party, please do not hesitate to call 212-779-0057 today.